I offer this solution because it was unique to my situation. Hopefully it helps someone else. CAQuietExec: file C:\Program Files\WindowsFabric\bin\Fabric\Fabric.Code.1.0\StopLyncServicesAndWait.ps1 is not digitally signed. GPO that prevents unsigned PowerShell from running was mucking up the install!! If someone from Microsoft reads this blog: Please ensure all Microsoft patches and PowerShell scripts are signed!! What is Skype for Business Resiliency? New users connect in resilience mode. Presence state displays as unknown. The Contact list and Address book is not available (searches for individuals work though). Network administrators can later use PowerShell to manually fail-over remaining Lync services. This process changes clients' resilience mode to the fully functional regular mode. A talented Lync administrator can pair a network monitor application with a custom PowerShell script to fully automate the entire fail-over process. Lync Server Control Panel (LsCP). Each pool has a single CMS database; however only one of the CMS instances is active. What is the replication database? The CMS database uses a master-slave replication model. All changes to the active RTS database are replicated to the RTSLocal databases. Changes are replicated across pools. Lync uses the RTCLocal instance -not the master RTC for its client services. This distinction is important for resiliency purposes. What is the Lync Front End Pool? The Lync Front End pool consists of a single (i.e., Lync Standard) or multiple (i.e., Lync Enterprise) Front End servers that connect to an associated back-end CMS database. There is only one pool per CMS instance. Users are assigned to a single pool; never both. When users sign-on to Lync, their clients automatically connect to Front end servers which resides in the users' assigned Front End pool. The Front End sever uses the replication database located in its local pool. The resiliency pool is considered active/passive when individuals are all assigned to the same pool. The resiliency pool is considered active/active when individual Lync users are assigned to separate Front End pools. The difference between the two models is significant during the fail-over process. In the event one of the Lync servers fail there will be some clients that enter resiliency mode and others will remain in standard mode. What is Lync High Availability? Lync Enterprise separates the front-end and back-end roles for truly high-available services within a single pool. Each pool allows up to twelve Front End servers and connects up to 80,000 simultaneous users. In addition, Microsoft SQL 2012 hosts the CMS database by either mirroring or shared storage clustering. Disruption to any single server within the same pool is negligible and are therefore considered highly available. 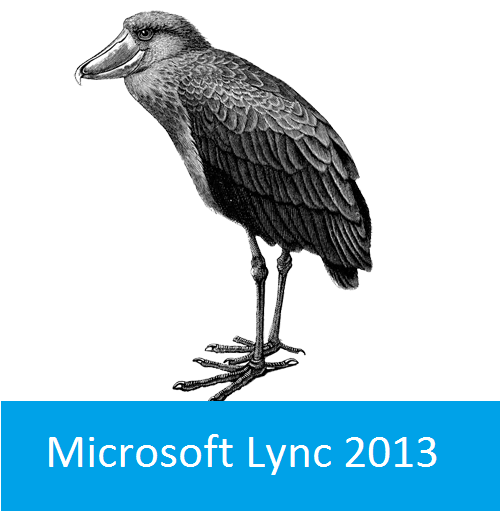 Lync 2013 Standard edition differs because it consolidates roles; both the Front End and CMS installs on the same server. Nonetheless, Lync Standard remains a robust solution. It scales up to 5,000 users, is simple to deploy, and supports all workloads (i.e., VOIP, IM, etc...). Microsoft provides an alternative to HA through the use of resiliency pools. How do Lync resiliency pools work? There are only two resiliency pools (e.g., pool_A or pool_B). There is only one CMS master database per pool. The CMS instance replicates to the LocalRTS database. Lync servers always use the LocalRTS -never the CMS. Front End Servers belong to a single pool. Each pool has at least one Front End Server. Users are assigned to a single pool; never both. Active/Active pools assign users to both pools. Active/Passive pools assign users to a single pool. Users connect to Front End servers (i.e., pools) based on administrative configuration. Clients from the primary pool communicate seamlessly with clients from the secondary pool; and vice verse. Pools are not important to the end users unless the client is forced into resiliency mode. What happens when a Lync server goes down? Changes cannot be made to the CMS database from any pool when an outage occurs. Users associated with the unavailable server enter resiliency mode. How do we fail-over Lync clients? The command will most likely error out because the primary pool, which normally hold the active CMS is unavailable. However, the CMS can run on either pool, and we can at least determine if the secondary pool is the active CMS host. Look for the active attribute in the host Identity field. Look for the active attribute in the host Identity field for confirmation. Once we've confirmed the secondary pool hosts the active CMS we can fail over the Replica to the secondary pool. Lync clients seamlessly exit resiliency mode and enter standard mode. The "Limited Functionality" warning disappears! 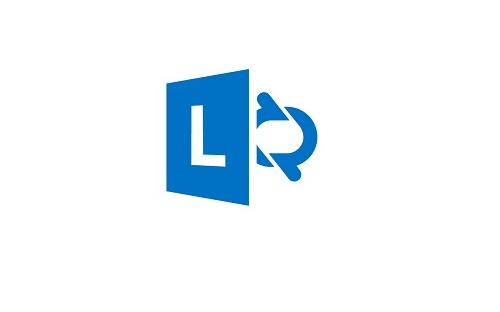 Change between multiple webcams in Lync Mac client. Problem: End-users cannot easily switch between different video cameras in the Lync for Mac client. Background: Mac laptops have internal webcams. End-users also connect with Logitech webcams. The end-users prefer to use different video cameras for different situations. Connect webcams in specific order. The internal webcam will work if the the Logitech USB camera is left unplugged when the Mac powers on. In this scenario, Lync will use the internal webcam by default. The Lync for Mac client will use the Logitech USB camera if it is connected before the Lync client is run. In this scenario, the Lync for Mac client will continue to associate the Logitech camera -even if the USB cable is unplugged. The command forces all Audio and Video processes to stop. Lync for Mac will use the internal webcam thereafter. Using a script shortcut can automate this process. The only other option is to install a $20 application called iGlasses by ECamm. ECamm offers a trial version of iGlasses so there is no need to commit. Lync for Mac will automatically use the active iGlasses camera. This article documents VPN Lync connection problems. The research troubleshoots Skype for Business clients on a VPN, that connect to external Lync clients. The full article explains traffic flow for both Lync servers and Lync clients. *Update 12/6/2016: Bypass the VPN using NRTP and Firewall GPOs. Skype for Business audio and video (AV) does not work between an internal-to-external call between the branch office VPN and staff working from home. Instant messaging (IM) works between the VPN branch office and external users. VPN Lync clients are unable to establish conference calls to external users. The problem only occurs between the VPN branch office and external users. o External Lync clients successfully establish individual audio and video calls to clients at the data center. o Lync clients on the VPN successfully establish individual audio and video calls to Lync clients at the data center. Audio and video calls work between VPN clients and external clients when both connect to a conference established by a data center Lync client. The communication problem between VPN clients and external clients result from a missing persistent route to the branch office’s subnet. The Access Edge server resides between the DMZ and the Perimeter network. The Access Edge has a gateway on the DMZ interface. The gateway is not configured on the Perimeter interface for traffic restriction purposes. The Access Edge server is configured to communicate with the data center subnet. There is not a persistent route that forwards traffic to the VPN branch office subnet. Add a persistent route that forwards to the branch office subnet on the Access Edge server’s local route table. This is a quick fix (see next solution). VPN tunnels add unnecessary packet overhead that introduce jitter and network latency. Pushing external AV traffic can also saturate available VPN bandwidth. Microsoft recommends branch offices bypass the VPN tunnel and instead connect through the outside Access Edge server as external clients. Deploy an additional Reverse Proxy and AV edge server at remote site. There is no additional Lync licensing for this solution. The servers require additional Windows licenses and may operate on physical or virtual servers. Branch office VPN is split-tunnel. All Internet traffic exits local gateway. All company traffic uses the VPN. Branch office subnet is not restricted. VPN provides access to all internal resources. The Front End Server provides most Lync server functionality. Instant messaging (IM) provides text-based messages. Both two-party and multiparty IM sessions are supported. A participant in a two-party IM conversation can add a third participant to the conversation at any time. When this happens, the Conversation window changes to support conferencing features. Lync clients send and receive instant messages using Instant Messaging Multipoint control unit (IMMCU). IMMCU is a Lync Front End service that provides instant message communication between Lync clients. Peer-to-peer communication (and multi-party IM) is only possible when the Lync server and IMMCU is active and available. Lync client communication is often referred to as peer-to-peer. Technically, the two clients communicate in a one to one conversation, with the Instant Messaging multipoint control unit (IMMCU) in the middle. The IMMCU is a component of Front End Server. Placing the IMMCU in the required communication workflow allows call detail recording and other features that the Front End Server enables. Communication is from a dynamic source port on the client to the Front End Server port TLS/TCP/5061 (assuming the use of the recommended transport layer security). By design, peer-to-peer communication (as well as multi-party IM) is possible only when Lync Front End server and the IMMCU is active and available. *The missing persistent route on the Access Edge prevents AV communication on the internal interface to the VPN branch office. IMs continue to work between the VPN and external clients because IMs are sent to-and-from the Front End server; not the Access Edge. · Removes processing and memory loads off Front-End server. · Access Edge design serves fraction of total network users. ICE uses 2 protocols to determine the network path between Lync clients. Session Traversal Utilities for NAT (STUN) reflects Lync client’s NAT IP and public IP. The process provides IP topology to promote network path candidates. Traversal Using Relay NAT (TURN) allocates media ports on the external AV edge interface. The key difference between STUN and TURN is that media travels directly between both endpoints when STUN is used, and media is proxied through the Access Edge server when TURN is used. http://blog.schertz.name/2012/10/lync-edge-stun-turn/. 1. UDP Direct. UPD direct occurs when ICE determines both Lync clients communicate using only host (or local candidate) IP addresses. · UDP Direct assumes no firewall or Natting is used between Lync clients. · Clients that reside within the same broadcast domain or reside on the same subnet. · Example may be two Lync clients used at an office or at the same hotel. An example may be one or both external Lync clients used from home. Most DSL and cable modems use NAT with the ISP’s publicly assigned IP address. 3. UDP Relay. Lync Access Edge server may provide a relay bridge for clients. This type of connection is considered a TURN candidate. For clients that cannot communicate directly peer-to-peer. Routing or firewall problem may prevent communications. Both clients can individually communicate to the Access Edge server. ICE candidate determination is used for internal clients as well as external. Lync uses UDP relay for internal-to-internal and internal-to-external media communication between clients. This type of connection is considered a STUN candidate. * Important: Internal clients will always use the Access AV Edge server for external communications. 4. TCP Relay. Access AV Edge relays via TCP when UDP ports are unavailable between client endpoints. UDP is preferred but TCP is always considered as a candidate. There are always 2 potential candidates per network path; UDP and TCP. ICE candidate promotion and Lync traffic flow should be the same at both data center and at the VPN branch office. Lync clients at both locations are considered internal clients. Candidate promotion process allow snooping client traffic to confirm specific breakdown. My next blog will provide instruction to allow Lync clients to bypass the VPN. There is already good documentation available on the Internet but I have a couple thoughts specific to Lync 2013, DNS, and GPO.